It has been five months since my mother Alida, Sam’s wife, died and four months since I posted a tribute to her on this blog. Her funeral in Sydney was attended by roughly forty friends and three family members and in the meantime 400,000 people in dozens of countries have read her tribute. I am grateful to all those who wrote and called me. Thank you. So, time to return to the indelible trace of Sam’s mark on photography. There is in my care, a very large stock of images, with a wide range of content and moods, but always celebrating both life and photography. The full impact of the previously undocumented work in Sam’s archive will only unfold once the estate is settled. In the meantime here are two images from available scans. 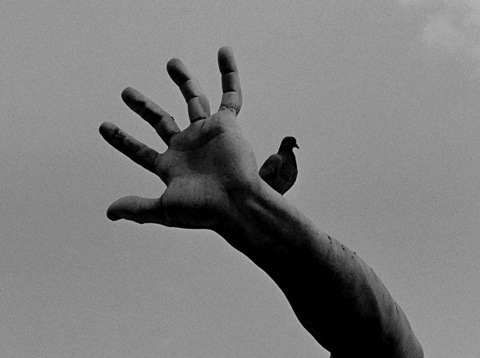 The image of the bird on the hand was taken in Rome in 1999. 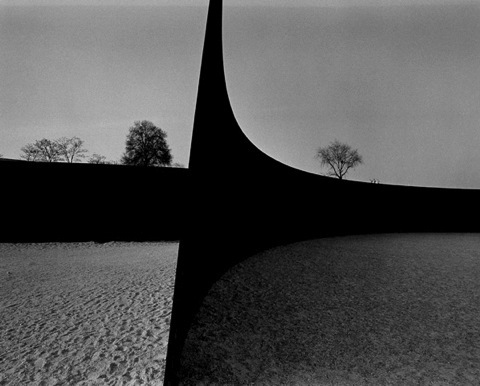 The Serra sculpture was shot in Paris during the occasion of Richard Serra’s major show at Musée National d’Art Moderne, in 1984.